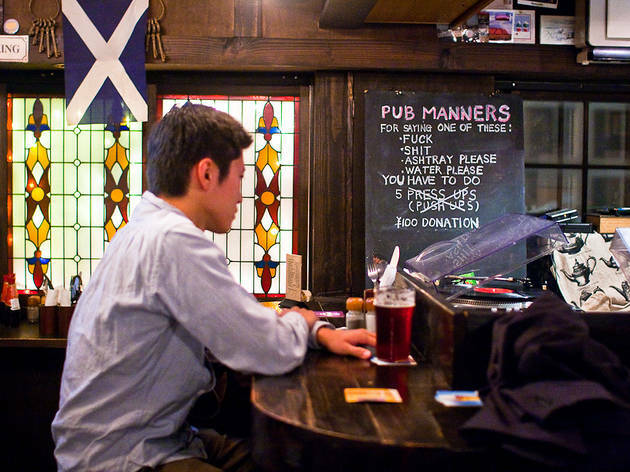 Of all the British-style pubs in Tokyo, The Aldgate is one of the only ones that feels like somewhere we'd actually want to visit back in Blighty. 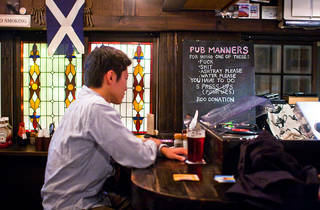 It certainly acts the part, from the cozy dark wood panelling to the no-smoking policy. There are around twenty beers on tap, with regulars like Old Speckled Hen, Yona Yona Real Ale and Baird IPA jostling alongside a selection of guest tipples from American, Japanese and British microbreweries. Food offerings like baked potato with beans, toad in the hole and fish and chips will have the limey contingent yearning for home, and the results are invariably tasty, even if they aren't always entirely accurate. The music collection stretches to 6,000-odd albums, many of them vinyl, and with a commendable bias towards rock and indie.